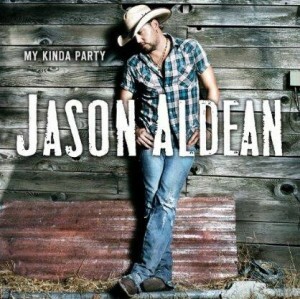 Is Jason Aldean on a roll or what? The other day I was listening through My Kinda Party over and over as I wrote. It’s a great album with the few songs you’ve already heard on the radio, but this one song kept getting my attention on each loop through. I had to share my thoughts and perhaps give my little effort to turn it into a single. Fly Over States first caught my attention because of the unique chorus vocals. When Jason hits those first notes in They’ve never droooooove through Indiana it just grabs me. I didn’t even know what the song was about as is usually the case when I hear a song for the first time. It’s always the melody that gets me interested in a song the first time. It turns out Fly Over States is about the overlooked states that get skipped by the big airliners. The businessmen and woman flying across the country each day from city to city don’t realize what they’re missing when they’re flying over the heartland. Those fly over states are full of good people, good land, and plenty of good company. I don’t know if my home state of Wisconsin gets flown over too much. I think airlines just ignore us all together and don’t even bother flying over, but it’s one of those states worth taking a little time to check out just like the ones mentioned in Fly Over States . I love this song. The melody caught me at first and the lyrics made for an even deeper connection. I have to agree – I love this song. There are a lot of poetic elements in the song, and they are spot on. The music fits, and is inspiring. It’s going to be a hit.